Your home is probably the largest and most important investment you’ll make in your lifetime. So when you require maintenance and repairs on your roof, you must pick the most qualified roofer in your area. Therefore, gather as much information as you can and, more importantly, interview contractors yourself. Make sure your prospect has a local address. Don’t be satisfied with a mere PO box. Ask for the company’s full name and physical location. This way, you can hold your roofing contractor liable should issues arise. Be wary of companies that don’t disclose such information. Always ask about workers’ compensation and liability insurance because they protect you from any responsibility in case of mishaps. The former covers injuries, while liability insurance protects you from any damage caused by the roofers. Without insurance, you may bear the cost of work-related injuries. 3. Can You Provide Homeowner References? A reputable roofer would gladly give you a list of references and proudly show previously accomplished projects. Talk to the contractor’s past customers and find out if they were indeed satisfied with the contractor’s service. If possible, ask if you can actually see them for yourself. There are usually two warranties that cover a roofing job; the workmanship coverage and the material coverage. The roofing company guarantees its work while the manufacturer guarantees the materials used in the job. Ask about both of them and their warranties’ duration. From quality gutters to dependable roof repairs, Innovative Roofing and Siding, Inc. has your home covered. 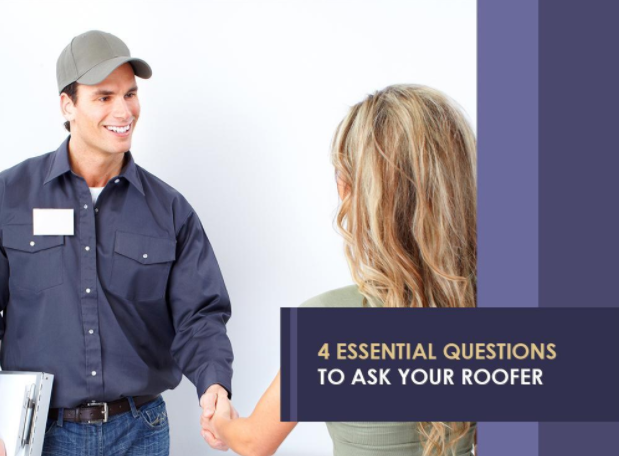 We have all the answers to your roofing woes (and questions). We serve Maryville, TN, as well as many other nearby areas. Call us today at (865) 444-6070.